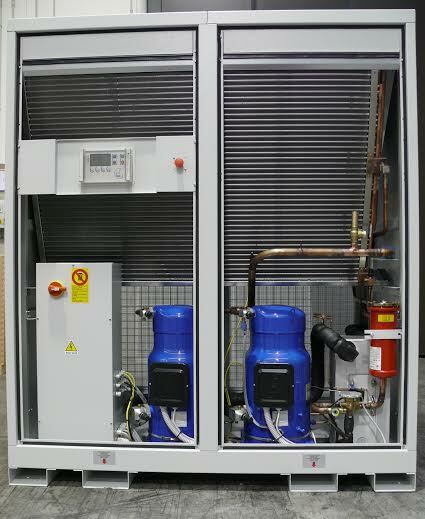 In direct response to market demand for a high quality ‘no frills’ chiller, cooling and materials handling specialist, AB Systems, has launched the EcoLight air-cooled chiller range to the UK market. Designed to fulfil basic cooling requirements while offering maximum performance, the efficiently built EcoLight is manufactured to exacting standards by world-leading chiller brand Nova Frigo. 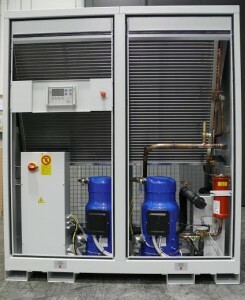 The result is a cost-effective, reliable, and technically sound chiller range, accessible within all budgets. Proof that basic can be brilliant, the EcoLight boasts a number of innovative features designed to optimise essential chiller functions. Of note is a Nova Frigo-designed multi-function microprocessor, which governs evaporating and condensing pressures and accurately measures system parameters to ensure consistent, precise and efficient control of the chiller’s operation. For time saving and convenience, the units can also be ordered with an easy-to-use remote control panel that allows complete management of the chiller from a second location. Cooling plants with more than one chiller will also benefit from the EcoLight’s intelligent multichiller function, an advanced piece of microprocessor technology that automatically adjusts the operation of each compressor in relation to thermal load. This not only achieves stable and exact process temperatures, but also avoids peaks in electrical usage caused by unnecessary starts, thereby minimising energy consumption. The EcoLight also delivers on efficiency – even in extreme ambient temperatures of up to 45oC – thanks to the intelligent microprocessor control and advanced evaporator and condenser design features, which ensure very low power consumption. As would be expected of any Nova Frigo manufactured equipment, engineering excellence is apparent throughout the EcoLight’s construction. Technical features include a pre-galvanised aluminium steel frame, gas condenser with a large exchange surface, plus copper piping and aluminium fins. The plate heat exchanger boasts stainless steel, copper braze welded plates, and is placed inside a thermo-insulating material shell to optimise heat exchange efficiency.